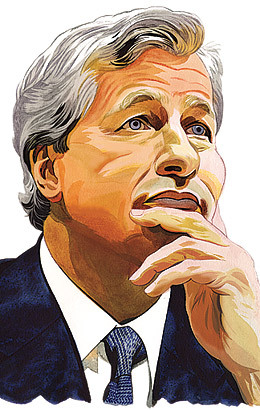 Jamie Dimon‘s dad Theodore, 78, is moving over his team of 5 brokers from Merrill Lynch to Bear Stearns Private Cient Group, a unit of Dimon’s JPMorgan. It’s nice anytime the CEO of a Wall Street financial services conglomerate takes the time to compliment his advisors and brokers. After all, when bankers and traders almost blew up these firms, it was the retail advisors who kept the engine chugging, especially at the House of Mack and for the Thundering Herd. August 31, 2009 Tomorrow's Business Headlines?